Gissler & Pass’s counter and shelf displays will make any sales counter the centre of attention. Produced and printed in a custom layout, the little eye catchers made from quality corrugated board will stick out everywhere from the perfume to the sweets department. Counter displays are generally located at a comfortable height, in the till area on the sales counter. They can also be placed between other goods on shelves as to break things up and draw the eye. 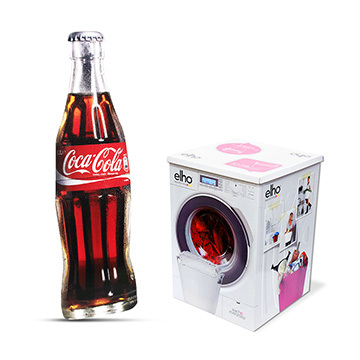 As mini displays, they draw the customers’ attention to small items or containers. They invite you to pick up the product and look at it up close. Counter displays don’t take up much space. And they have a prime location: at literally the last moment before the customer pays and leaves the store, you increase turnover at the last minute at point of sale. What types of products are counter displays suitable for? Anything which is small in size can be offered in a counter display: chewing gum and confectionery, glasses, herbs and spices, drinks and cosmetics. In the modern era of constant exposure to advertising, attracting attention is more important than ever. Interactivity works. Counter displays tempt customers to pick up one item or another from displays placed at eye level. to supplement a complete marketing concept. What material are counter displays made of? 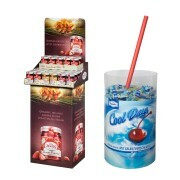 Counter displays are generally made from corrugated board, plastic or metal. Perfume stores and pharmacies frequently use specially finished counter displays made from corrugated board with stamped contour elements. This gives the products on offer a high-quality look. Lighting is also used. Where are counte displays used? Counter displays can be found in specialist shops, perfume shops, pharmacies and in the till area at big supermarkets and garages. Despite their small footprint and light design, counter displays are robust and suitable for heavy products. They make effective use of the available space. In pharmacies, people are generally making planned purchases. The customer either comes with a prescription or to find relief for a specific complaint. 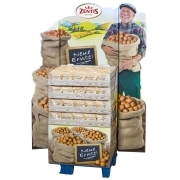 Counter displays are able to draw the customers’ attention to additional products. Health and beauty stores and stationary stores often use counter displays stocked with goods with tester areas for customers to try things out. Customers like to have the opportunity to try out the pens on offer right away. Does the writing implement sit nicely in the hand? Is the ink application even? Then they’ll take the pen to the till. What are the benefits of counter displays? Increase in sales: since counter displays are in the till area, they encourage people to pick things up. Appealing presentation of the goods is pleasing to customers and leads to impulse purchases. Eye-catcher: while customers are standing at the till, they have time. Accordingly, they let their gaze wander. Counter displays catch the attention of people who are waiting. This makes the small sales stands ideal advertising media. And not just for promotions and product launches. Customers notice the product itself, but also the brand behind it. 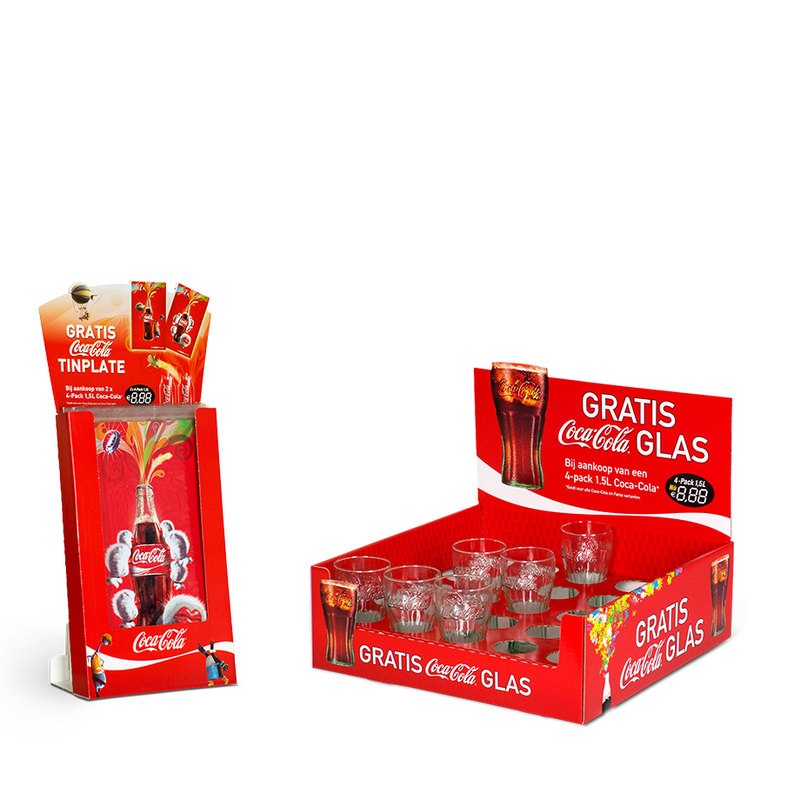 Easy handling: putting the display together at POS is quick and easy. Employees set up the stand and fill it with goods. For fully stocked displays, they put up additional posters and the sales begin. Environmentally friendly: thanks to the environmentally friendly material (corrugated board), the display can easily be recycled after use. 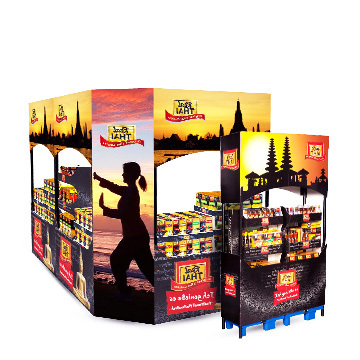 Advertising: counter displays mean additional advertising space for your brand message. Interested in a counter display? I’m planning to commission a counter display. How does the ordering process work at GISSLER & PASS? Briefing: we ask about your requirements and wishes in an in-depth discussion. Design and digital prototype: we use this knowledge to develop a tailor-made counter display for you. White sample production: if you are happy with the design, we produce a white sample for you. You can examine these prototypes in a relaxed atmosphere. What items do you need a counter display for? How should the advertising medium present your brand world? Is it part of an overarching promotion? What target market are you focussing on? Do you have a concrete aim with the display? What special requirements do you have for your counter display? Do you have any wishes with regard to material? We listen attentively to you. We then use state-of-the-art CAD software to design a tailor-made counter display in 3D for you. After that, we produce a white sample. This is a prototype of the later counter display series. It is primarily intended for you to inspect. A GISSLER & PASS sales representative presents the advertising medium to you in person. Where does GISSLER & PASS produce the counter displays? Our displays are produced at our company sites in Jülich and Rodenberg. What types of counter displays does GISSLER & PASS manufacture? You get tailor-made stand-up displays from us. Experimentation pays off in the look, shape and configuration: how about a revolving display which allows access from all sides? Or what about a hanger rack? How about presenting the product on multiple levels? Or a compartment display? We produce goods carriers for you which generate impulse purchases. Anything which is small in size can be offered in a counter display: writing implements, toys, cosmetic and health products, chewing gum and confectionery, glasses and drinks. High-quality products such as a digital camera can also be presented directly in the sales area. As an individual item, thanks to lavish presentation, it draws attention, can be handled and is secured with anti-theft protection. What material does GISSLER & PASS use for the counter displays? We use corrugated board as the base material for our counter displays. Your wishes, needs and requirements are paramount for the choice of supplementary materials. Lavish presentation underlines the exclusivity of your product or your brand. How long until my counter display is ready? Each display is a unique piece. Before we begin production, we give you a rough estimate of the lead time for your counter display. Unfortunately we cannot provide any general information on this point. We produce your advertising medium according to your ideas and wishes. The production time depends to a certain extent on the desired level of complexity. We don’t have standard versions. GISSLER & PASS creates each counter display as a unique project. This ensures a high recognition value. We thus present your product as well as possible. And we reach your target market with perfectly tailored goods carriers. Consistent: your display consistently implements your brand message at its destination. We ensure that it satisfies your wishes and requirements. Creative: with the help of a unique presentation form, your brand and your product make a lasting impressing at the point of sale. Sales-boosting: our counter displays tempt customers into impulse purchases. Individual: your advertising medium is a unique piece. No other company has the same design as you.